Copper Eat, Drink, Be Married bottle stopper, From our Cassiani Copper collection. 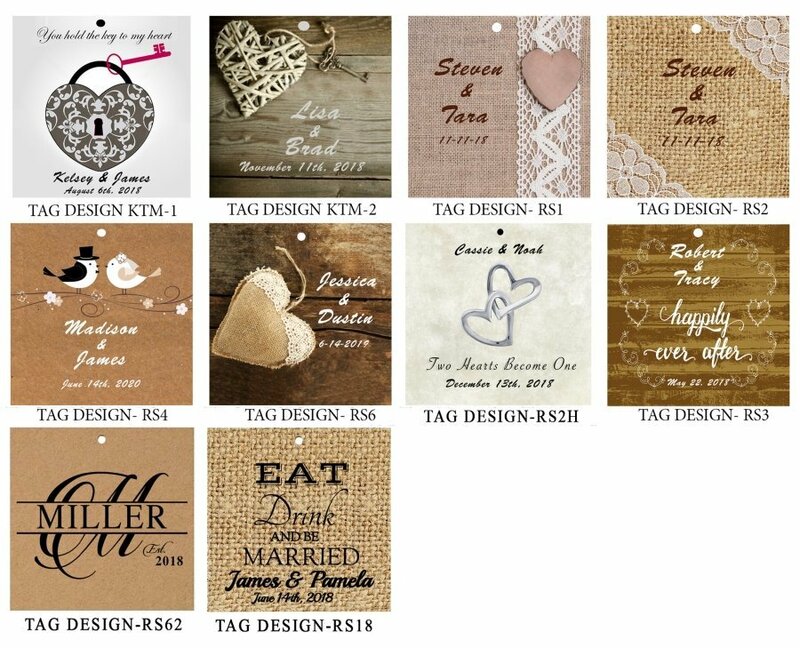 All your friends and family have gathered to Eat, Drink and Celebrate your special day. 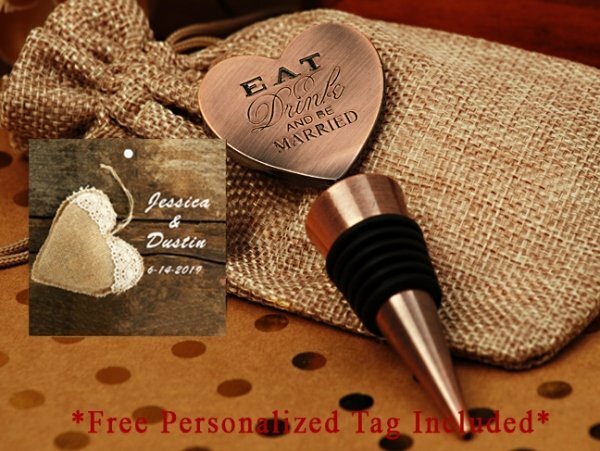 Our vintage design Eat, Drink and be Married stylish copper bottle stopper favor will give that special added touch to your elegant affair. 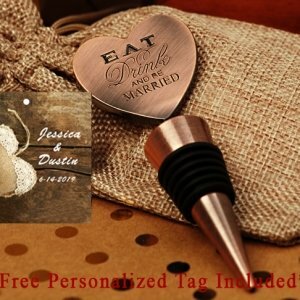 Each solid metal Heart topper is engraved with the words Eat, Drink, Be Married. Hello i would like to order the wine stopper ; but i want it to say 'eat, drink and be 40' instead of 'eat, drink and be married' would that be possible? I'm sorry, we're unable to alter the design of this item at all from how they're described/shown on our site since they're shipped directly from the manufacturer. You can personalize the tag and enter the text that you want but not on the item itself.